On Monday, February 20th, the Government of Belize (GOB) failed to make a payment of US$13 million or BZ$26 million towards the 2038 Super Bond. Belize now has 60 days to meet payments, or else it can result in the loss of savings obtained from the last restructuring of the Bond in 2012 and 2013, when creditors had agreed to an 11% reduction. Although the payment was missed, the country has a grace period of 30 days before it is declared a default. 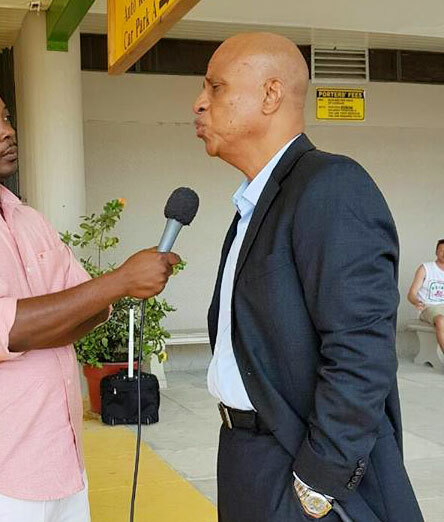 In an attempt to reach a third restructuring of the Super Bond, Prime Minister Dean Barrow, along with a Belizean delegation, travelled to New York City, New York USA on Tuesday, February 14th to meet with bondholder representatives. The meeting did not yield the expected results, and upon Barrow’s return to the country on Sunday, February 19th, the PM told reporters that he is cautiously optimistic that a deal for softened terms on the bond could be reached before the grace period expires. It has been a year since the Government asked creditors to agree to a debt relief, and last month, GOB made a formal request for a reduction of the interest rate of the debt. The request asked creditors to lower the rate from 5% to 4%, plus a delay in the commencement of the principal payments from 2019 to 2036. But creditors were not fond of this request and no agreement could be concluded. It has been revealed that during the meetings in New York, the creditors made a counteroffer to Barrow. There are no details of that offer, but Government indicated that they were unable to accept it. However, GOB had until Friday, February 24th to respond to the offer. The Belizean media has been made to understand that the meetings in New York were represented by approximately 60-65% of creditors. The reunions were considered to be very intense, however, Barrow hopes that a revised arrangement can be worked out soon. “I would characterize the meeting as having been tough, but I am happy to say that it never became contentious or bitter,” said Barrow. The main concern from creditors is Belize’s ability to achieve debt sustainability or lack thereof. They demand assurance that there will not be another attempt from Belize to try restructuring the debt for a fourth time. The creditors have asked GOB to seek assistance in order to develop an economic program. Such program was endorsed by multi-lateral lenders like the International Monetary Fund. Leader of the Opposition from the People’s United Party (PUP), Honourable John Briceño told the media that he was not surprised at the Government’s inability to make the payment. “We were not really shocked by the Prime Minister’s pronouncement regarding the payment,” said Briceño. “We in the PUP would support any initiative that would have some positive effects in the lives of the Belizean people.” He added that while there might be some hope to settle the matter before the grace period elapses, he firmly believes there might be detrimental long-term consequences. He referred particularly to the clauses which deal with defaults on interest payments. As Belize continues to try work out a deal before a default is declared, they will continue working closely with their structuring advisers. These include Citigroup, along with the law firm Cleary Gottlieb Steen & Hamilton as legal counsels.